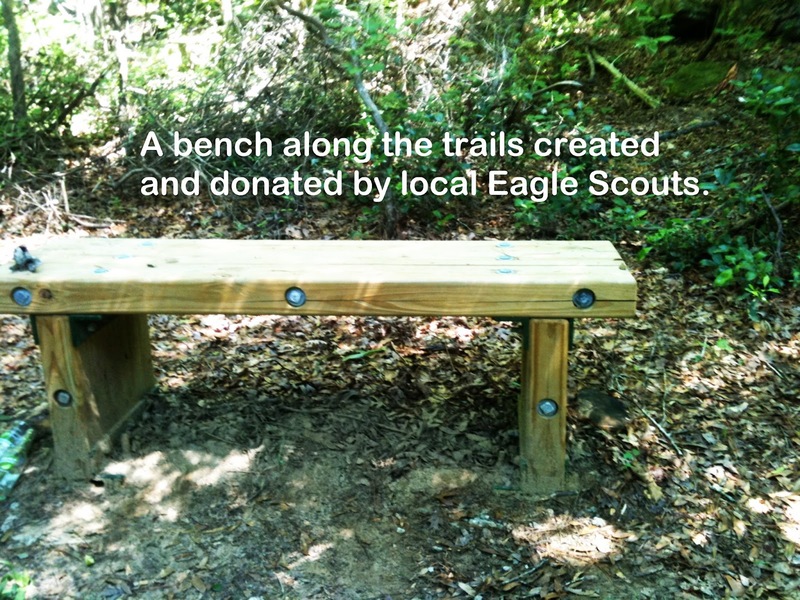 Local Eagle Scouts worked hard for Hurricane Creek Park. In an ideal world, citizen groups partner to enhance life and natural recreation areas for the community as a whole. 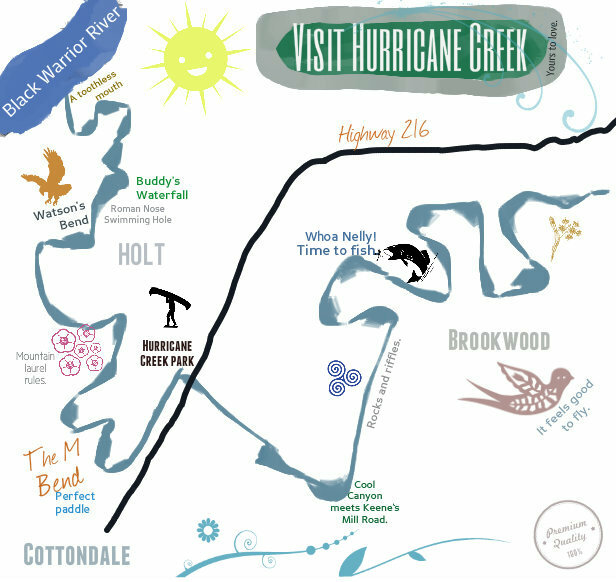 In an ideal world, every community has Eagle Scouts as dedicated and entrepreneurial as the ones who made Hurricane Creek Park an area which can be hiked and enjoyed by residents of Tuscaloosa and surrounding communities. If you have stopped to visit Hurricane Creek Park and hiked its trail, then you have already benefitted from the work of local Eagle Scouts, who planned the trail, blazed the trail, and even created natural wood benches as resting points along the trail. 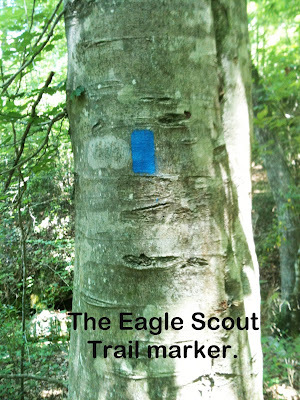 The Eagle Scout Trail is marked by a blue blaze painted on trees. 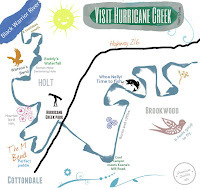 It is a lengthy and challenging hike through ancient rocks, over small streams, and along the main stem of Hurricane Creek. It offers a continuing tribute to our nation's history of respect and honor for the wilderness which once characterized our continent. In blazing this trail, local Eagle Scouts continue a tradition that reaches into the heart and soul of America as a people. "We simply need that wild country available to us, even if we never do more than drive to its edge and look in. For it can be a means of reassuring ourselves of our sanity as creatures, a part of the geography of hope." Other contributions by local scouts to our community include the Eagle Scout Plaza at the McAbee Scout Service Center on Jack Warner Parkway. If you'd like to learn more about the amazing and dedicated individuals who fulfilled the challenging requirements of Eagle Scouts, visit the Troop 7 Eagle Scouts (chartered by Holy Spirit Catholic Church) or the Black Warrior Council Boy Scouts of America page. The Friends of Hurricane Creek would like to acknowledge local Eagle Scouts with our humility in the face of their hard work and our gratitude for their efforts to keep the American spirit alive in our county.